It was sometime in the late 1980s and I was working on my doctoral dissertation in my fifth-floor bedroom in a Hell’s Kitchen, Manhattan, walk-up occupied by the Irish Christian Brothers. I picked up a copy of the National Catholic Reporter and read a piece about a bishop from Peoria, Ill., John J. Myers, who was making a name for himself by stressing orthodoxy and recruiting large numbers of vocations to the priesthood for the Peoria diocese. What struck me most glaringly, however, was how mean Myers was toward people who may not have lived up to his standard of Catholic teaching. It was clear from the article that Myers was on the fast track among the church hierarchy, but the faithful — some of whom were excoriated by Myers for this or that offense against supposed church teachings — did not quite know how to judge the new bishop of Peoria and found his methods less than pastoral. Fast-forward a decade. Archbishop Theodore McCarrick of Newark had been named the archbishop of Washington, D.C., and the Newark Archdiocese was without a leader. 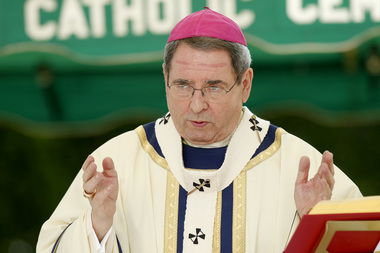 A priest who had just been to a meeting at Newark Archdiocesan headquarters entered my office at Our Lady of Good Counsel Parish in the inner-city of Newark, where I was the director of schools, and told me that there was a strong rumor that Myers was going to be named archbishop of Newark. My heart sank and my anxiety increased. The premonition I had received returned and I realized then what the Holy Spirit was directing me to do. I knew at that moment that I would have to confront and stand up to Myers. I didn’t realize it would begin to happen right after Myers’ arrival in Newark. I was told by Myers’ lieutenant, Bishop Arthur Serratelli, currently the bishop of Paterson, to tone down my language about clergy sexual abuse and possible cover-ups of such. Serratelli then said to me, “You know, Bob, not all bishops are bad.” I have yet to receive confirmation of Serratelli’s declaration. Within a day or two of my firing, I received a telephone call from a Peoria priest, Patrick Collins, who comforted me and told me not to worry because the history of John Myers in the Peoria Diocese would begin to leak out. He was referencing clergy sexual abuse and other aberrations of Myers’ tenure in Peoria. What I didn’t realize after speaking to Collins was that it would take us a dozen years of confronting and standing up to Myers to finally see the light at the end of the tunnel. But we wouldn’t have wanted it any other way. After all, the voice we heard and continue to hear is the voice of God, and no one can stifle that voice. Robert M. Hoatson was a Catholic priest of the Newark Archdiocese for nearly 15 years. 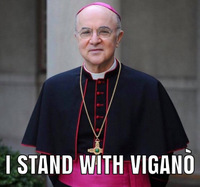 He sought and received voluntarily laicization from the Vatican in 2011. He is now co-founder and president of Road to Recovery, a nonprofit charity that assists victims of sexual abuse.